PEUGEOT 107 1.0i. >RP No.11710 06/2005-12/2008. PEUGEOT 107 1.0i Cat 12v Hatchback 998cc (51 kW, 68 HP), Eng:384F. RP No.11954> 08/2009>. 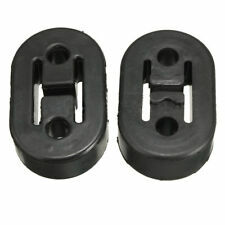 2 x Rubber Exhaust Centre Mount. X3 RUBBER EXHAUST HANGERS. Be sure to add us to your favourites list ! ALL OUR PARTS ARE OF OE QUALITY. Toyota Yaris 1.0i 1.3 1.4Di. TOYOTA Yaris 1.0VVTi Cat Hatchback 998cc (51 kW, 69 HP), Eng:1KRFE. TOYOTA Yaris 1.3VVTi Cat 16v Hatchback 1298cc (64 kW, 86 HP), Eng:2SZFE. Toyota Aygo 1.0i 1.4TDi. Aygo 1.0VVTi Cat Hatchback 998cc (50 kW, 67 HP), Eng:1KRFE. OBD 07/2005-12/2008. Aygo 1.4TDi Cat Turbo Diesel Hatchback 1398cc (40 kW, 54 HP), Eng:2WZTV. Rubber Exhaust Centre Mount. CITROËN 1755K9, 1755R4. PEUGEOT 1755K9, 1755R4. Engine Code: 384F; Exhaust System: for rear silencer; Exhaust System: for Exhaust Pipe. Function Holder, exhaust system. Colour Black. PEUGEOT 107 1.0 Hatchback Petrol 06/2005 on FWD 12 68 50. Klarius Rubber Exhaust Mounting Mount. Search “Klarius Online Catalogue”. Any information in the compatibility table is for reference only and there may be unspecified choice options. Labour claims & consequential loss claims are never accepted. Klarius Exhaust Clamp Mounting. Search “Klarius Online Catalogue”. Any information in the compatibility table is for reference only and there may be unspecified choice options. Labour claims & consequential loss claims are never accepted. Bosal are manufacturers of exhaust systems and towbars. Their products are supplied as original equipment to most car manufacturers throughout the world. 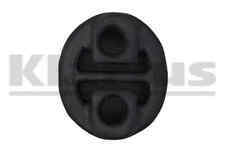 Brand new Saab Exhaust rubber to fit: Saab 9-3 Sports 2003 onwards Diesel models. PEUGEOT 107 1.4D Exhaust Clamp 05 to 14 8HT(DV4TD) Febi. Function Clamp, silencer. PEUGEOT 1714E3. PEUGEOT 107 1.4 HDi Hatchback Diesel 06/2005 05/2014 FWD 8 54 40. PEUGEOT PARTNER ORIGIN (5F) 1.6 HDi 90 MPV Diesel 10/2005 12/2015 FWD 16 90 66. Suitable for Part Number: BM91263H. Product Note: This is only suitable for our products. Warranty: N/A. RRP - £22.54. You shall receive a FK91263B. CITROËN 1755K9, 1755R4. PEUGEOT 1755K9, 1755R4. Function Holder, exhaust system. Colour Black. PEUGEOT 107 1.4 HDi Hatchback Diesel 06/2005 05/2014 FWD 8 54 40. PEUGEOT 107 1.0 Hatchback Petrol 06/2005 on FWD 12 68 50. TOYOTA 17565-YV010 17565YV010. 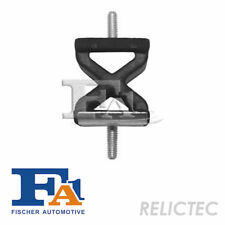 Exhaust Clamp 30823 Febi. Part Number 30823. Function Clamp, silencer. 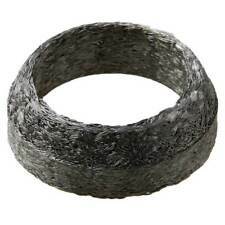 for exhaust pipe. PEUGEOT PARTNER ORIGIN (5F) 1.6 HDi 90 MPV Diesel 10/2005 12/2015 FWD 16 90 66. PEUGEOT PARTNER ORIGIN Van (5) 1.6 HDi 90 Box Diesel 02/2006 12/2015 FWD 16 90 66. Klarius Exhaust Gasket. Search “Klarius Online Catalogue”. Any information in the compatibility table is for reference only and there may be unspecified choice options. Labour claims & consequential loss claims are never accepted. Klarius Exhaust Mounting/Fitting. Search “Klarius Online Catalogue”. Any information in the compatibility table is for reference only and there may be unspecified choice options. Labour claims & consequential loss claims are never accepted. Genuine Peugeot Clamp. Peugeot Part Number:1714. The photograph is of the actual item. Part Number: 30823. Safety & Workwear. Royal Leisure. Site Safety. Office Supplies. Catering Supplies. Janitorial & Hygiene. Tools & DIY. Type: Exhaust Hanger. Perfect to replace your old or broken Exhaust Mount. Material: Rubber. Size: approx. Febi Bilstein is one of the world's leading manufacturers and suppliers of vehicle spare parts in the independent aftermarket. They produce a vast range of aftermarket automotive parts including - braking, electronic, engine, service, steering, suspension and transmission components. 4Pcs 11.5mm Polyurethane Car Truck Motorbike Muffler Exhaust Hangers Red Universal. Up for sale is for Polyurethane Exhaust/Muffler Hanger 1set=4pc. 1set=4pc Muffler Hanger. Made of strong Polyurethane material and will not easily crack. CITROËN 1755K9, 1755R4. PEUGEOT 1755K9, 1755R4. 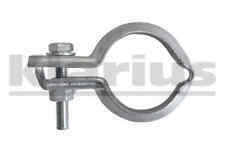 Exhaust Clamp 30822 Febi. Part Number 30822. Function Holder, exhaust system. Colour Black. Exhaust System: for rear silencer; Exhaust System: for Exhaust Pipe. Klarius Exhaust Fitting Kit. Search “Klarius Online Catalogue”. Quantity Unit: Kit. Any information in the compatibility table is for reference only and there may be unspecified choice options. Labour claims & consequential loss claims are never accepted. Chassis number (VIN) and we will confirm the correct part required. Be aware that each model of vehicle may have a choice of few different part options. Such variations can apply due to upgrade designs on later chassis numbers, or the manufacturers using different OEM suppliers during production process. Klarius Exhaust Fitting Bolt. Search “Klarius Online Catalogue”. Any information in the compatibility table is for reference only and there may be unspecified choice options. Labour claims & consequential loss claims are never accepted. 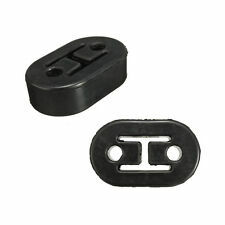 NEW ORIGINAL IMPERIUM CENTRE EXHAUST HANGER BRACKET MOUNTING SUPPORT 36443 I. ORIGINAL IMPERIUM. Be aware that each model of vehicle may have a choice of few different part options. Such variations can apply due to upgrade designs on later chassis numbers, or the manufacturers using different OEM suppliers during production process. KMS Parts Number. Belt Tensioner Wheels & Bkts. Wheel Bearing Kits. Suspension Ball Joints. Rear Lights. EXHAUST MOUNTING. Front Exhausts Cats. The compatibility is only a guide. 1pcs Rear Foot Hydraulic Brake Master Cylinder Pump for Motorcycle ATV Universal. Car Rear Diffuser Fin Style Black ABS Plastic Splitter Spoiler Valance Under Lip. Office Desk Furniture Drawer Draw Pedestal Lock Filing Cabinet Locker Two Keys. K9 / 1755. R4 / 17565-0Q010 /. CITROEN 1755. PEUGEOT 1755. CITROEN C1 II 1.0 VTi 68 04/2014 -. CITROEN C1 II 1.2 VTi 82 04/2014 -. SWAG 81 93 0822. CITROEN C1 (PM_, PN_) 1.0 06/2005 -. CITROËN 175538. PEUGEOT 175538. Exhaust System: for rear silencer. VAG 893253147F. VAG 861253147. VAG 323253147. TRICLO 353071. TRICLO 353003.